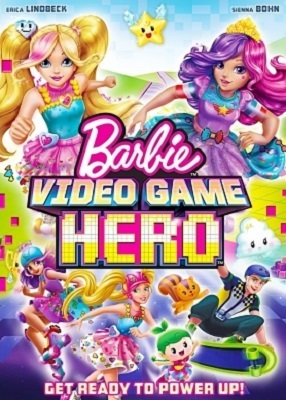 Barbie is a very talented gamer, who has managed to advance in all levels of the game that is proposed. In the company of her sisters and her friends, she spends her free time trying out video games, but there is one in which she has stood out: a skating game. Long hours have dedicated to each of the levels and together with their friends, have managed to find the best strategies to move forward and win the missions. When Barbie finishes the final level the game assistant gives her the option to accept or reject a new challenge: to enter a mission that only Barbie could be successful. 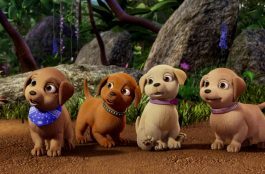 When Barbie accepts the mission that has been entrusted to her in this video game, something extraordinary happens! She begins to undergo a transformation and in that moment enters a new reality: reality within a video game. In this new adventure get ready to play with Barbie. She is transported inside her favorite video game and the character that embodies the tutorial of the game called Cutie, is to become her friend and guide in the problematic that exists within this special world. 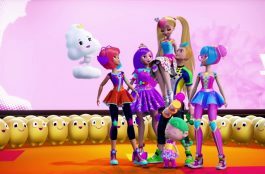 Cutie is an adorable, intelligent and very friendly cloud that should help Barbie understand the missions to develop in this video game that is not at all simple. There are 3 very complicated levels that Barbie must win in order to save the world. She must transform into each level in different avatars to be able to win against the invasion of evil emojis that abound in the video game. She must overcome every level of the game! But before all of this, she must win the race: in that previous competition, Barbie must demonstrate her skills as a skater and displace her opponents. She must save the princess from the kingdom by trying to free herself from the difficulties that some evil squirrels put her in the way and then finish the game. 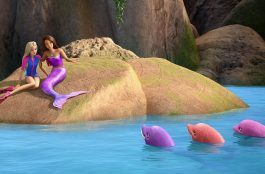 In the final level will appear a great surprise where Barbie will receive help to be able to win the game in a very fun way. It’s time for Barbie to come to her final date with this video game and nobody said it would be simple. Many adventures await you and your real-life training as a gamer will serve you, but this is probably not enough when it comes to living in one’s own flesh one of the biggest quests our adventurer has ever faced. Barbie in a world of video games, shows us that you can be what you want to be and as long as you do things with love, dedication and put all your effort in each of the missions that life tests you, you can achieve Unimaginable! 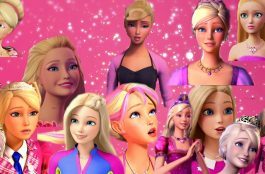 You cannot fail to see this new adventure in which Barbie, like you, realizes that video games can also leave her a good experience and a teaching of life, in which they live a dream and make it a reality that we all want to live : Be inside our favorite video game!